You saw that on opening day at the recently-completed 2019 tournament when No. 13 Centennial took down No. 4 Vancouver College, and most stunningly, No. 15 Heritage Woods took down No. 2 Kitsilano. Yet while it’s always wise to say that all bets are off, we’ll still stick out our necks and prognosticate on the unpredictable. 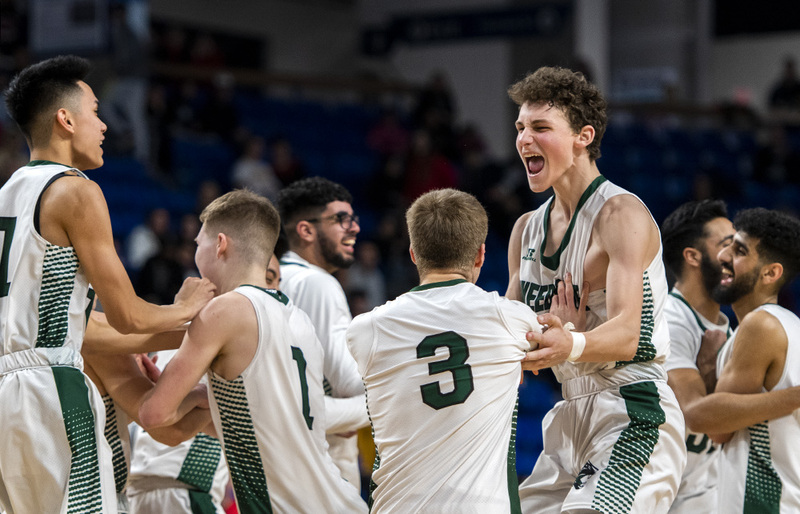 Being forced to play without star 6-foot-10 Grade 11 forward Sasha Vujisic earlier this month in a 75-64 Final Four loss to eventual champion Lord Tweedsmuir was a tough break. 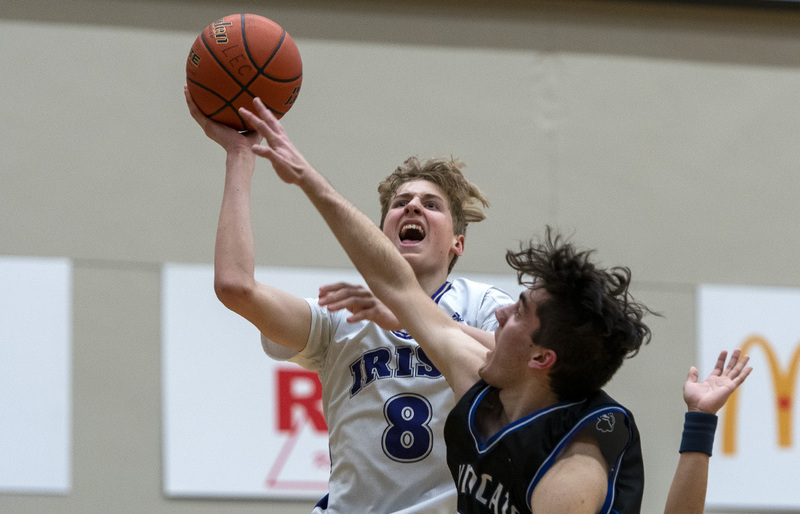 And don’t forget about the forfeit loss Burnaby South suffered during the Lower Mainland championships for playing ineligible guard Emir Krupic, a miscalculation which forced the team into a marathon of must-win games just to qualify for the provincial field as a No. 5 seed. It’s never easy to fashion anything even remotely resembling a dynasty at the top end of B.C. boys senior varsity basketball, yet in the case of the Rebels, golden in 2018 and bronzed in 2019, it’s been a very fine line. So what goes into their 2019-20 preseason No. 1 projection when a handful of other programs have seemingly as much to recommend themselves? For starters, you can’t look past the talent which not only won a senior title in 2018, but also won two of the last three B.C. junior varsity titles, including this season. 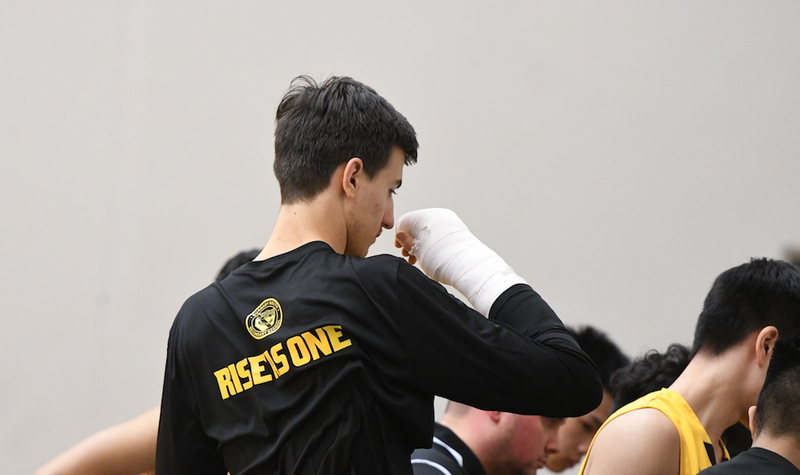 If Vujisic, who also suffered a broken hand earlier in the season, returns fully healthy, then he will have that rare opportunity to put a personal signature on his senior season. So much will also rest on the efforts of rising Grade 11 guard Justin Sunga, who while compact at 5-foot-8, has a burst off the dribble which can seem impossible to contain. Rising senior guard Matthew Pineda also returns, as does Krupic. As far as the latter is concerned, he can re-join his former team as early as Jan. 11 of 2020. If the school appeals his status and wins, however, he could begin playing with the team at the start of the season. 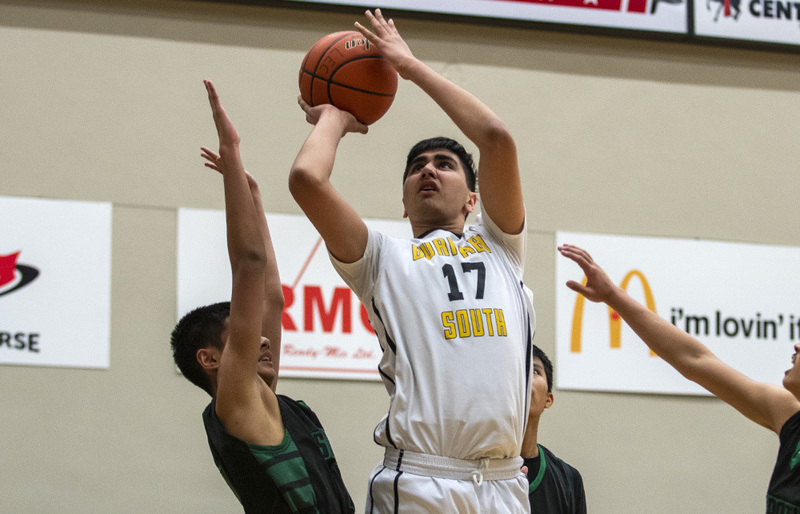 Burnaby South would also open its doors to the rising talent from its junior varsity team, one which simply wore teams down with its three-point shooting splurges, and its classic low-block play en route to a dominant B.C. title run. To that end, players like rising Grade 11 Jareb Pineda and rising Grade 10 Jimmy Zaborniak could find themselves filling key roles in the guard rotation. And up front, the Rebels will have a different kind of Twin Towers look, with Vujisic potentially teaming with hulking, 6-foot-5 Karn Aujla, a rising Grade 10 who in call-up duty against Terry Fox in the senior Quad A bronze-medal game, went 7-of-11 from the field for 14 points and five rebounds. Head coach Mike Bell, much like he did in the 2018 title run, will have to build cohesion into this group. Sunga can captain an ultra-high tempo. Aujla, in bursts, is surprisingly capable of keeping an elite pace. And Vujisic, like the rest of the main rotation, will have to avoid injuries. If they do all of the above, and if their purpose is strong enough that the chip on their collective shoulder remains in place, they’ve got a chance to dance again. You can designate a No. 1 and a No. 2 and in some years, the gulf between the two is huge. There’s not a lot separating these two teams. If the huge returning core of Vancouver College players didn’t gain extra off-season purpose from a heartbreaking opening-round loss to No. 13-seeded Centennial, something is amiss. The senior Irish have everything they need to win the program’s first B.C. title since 1967 with rising 6-foot-9 senior big-man Luc Therrien, and rising 6-foot-7 Grade 11 Jacob Holt ready to alter opposition shots and drives at a level rarely seen at the B.C. high school level. 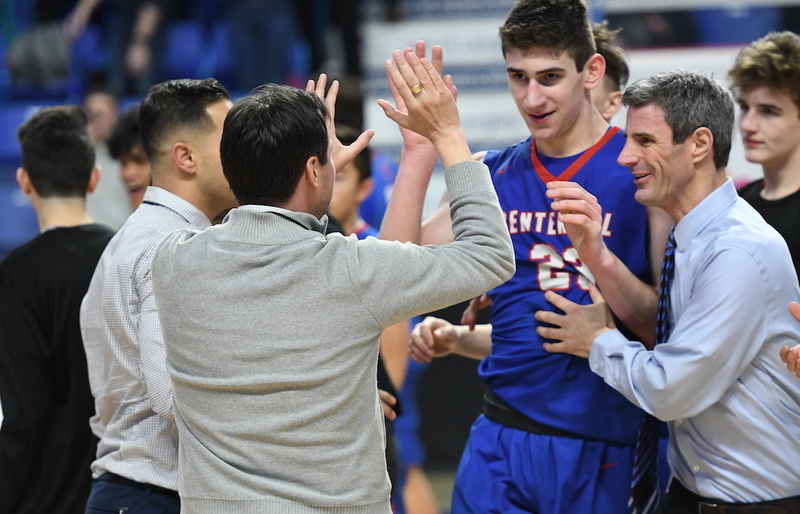 After that, look at all of the players who logged huge minutes last season and return as seniors: Smooth-driving Hunter Cruz-Dumont, ultra-versatile Callum Chow-White, defensive game-changer Jason Soriano, and the gritty likes of Josh Lum-Tong and Sean Heppner. No team in B.C. has more senior varsity experience. Guard Uyi Ologhola will enter the final year of a star-studded high school career which, in its own way, has seemed as long as an NBA all-star’s career. This is the collective season the program has been building towards since its loss to Sir Winston Churchill in the 2014 championship final. Ologhola will be at the height of his high school powers, and its hard to find a guard in the B.C. high school ranks who will bring the same blend of power, skill, touch and athleticism to the fore. 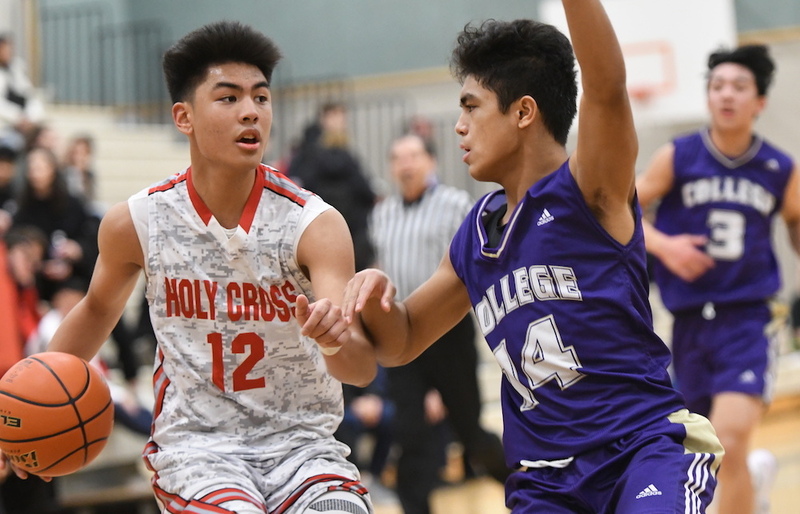 Combine that with teammate Brent Padilla, one of the most under-rated scorers in recent memory, as well as fellow guards T.J. Fujimura, Tee Anim and Kyle Tejada and it’s up to the Crusaders to parlay everything that makes them special into a provincial title winner. Big man. Shot maker. Dynamic guard. Coquitlam’s Centaurs have it all, respectively, in 6-foot-7 Dom Parolin, ice-veined Leif Skelding, and formerly unheralded Terry Cho. That trio combined to score 58 of the Centaurs’ points in its thrilling 83-82 overtime win over Vancouver College in the opening round of the B.C tournament. How much they, along with the rest of a roster which totalled 12 underclassmen improves as a group over the off-season will be pivotal in determining whether head coach Rob Sollero’s group can be the type of team ready for a challenge as big as the provincial Final Four. The biggest surprise of the tournament? An honourable mention team in the final set of provincial rankings which, as a No. 7 tourney seed, makes it all the way to finals before falling to the Lord Tweedsmuir Panthers? Dissect its lineup and you see that Parker Johnstone was the lone senior to log main rotation minutes this past season. Then consider that at least five excellent, pressure-seasoned guards (Hunter Simson, Malcolm Greggor, Jayden Lalonde, Jonathon Haughton, Ajay Gill) return, along with a 6-foot-4 post presence named Ethan Braam, who at various stages over the Owls’ title-game run, looked like their most valuable player. Kelowna’s collective success will not come without chemistry, although that seems to be the elusive element head coach Harry Parmar helped them discover over the course of a soul-searching 2018-19 season. If it’s there to begin the 2019-20 campaign, all the Owls need to bring is belief. They didn’t make the Big Dance. Yet key members of the 2018 Saints squad which won the B.C. junior varsity title, are expected to shine in their senior seasons. That group is led by former junior MVP Jaxon Cohee, Sam Wooder, Ao Ma and Aidan Underwood. Key additions from this past season’s B.C. tourney-qualifying junior varsity team should include guard Lawson Graham, forward Luc Dixon and 6-foot-7 Eli Van Haren. Vancouver Island is as top-end deep as it’s been in recent memory, and the senior-laden Bulldogs, with their combination of talent and experience, look to be the best of the bunch. Danny Song, Max Leeder and Daunte Nelson represent significant loss via graduation for head coach Kevin Brown’s team. 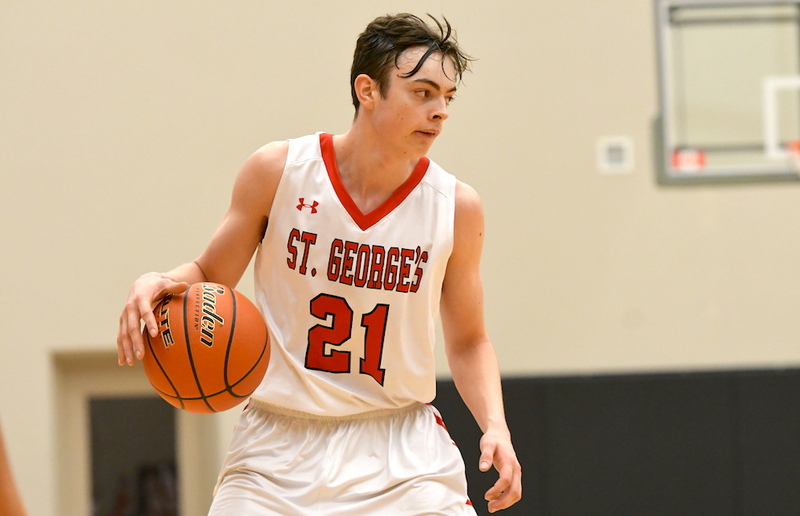 Yet the rising senior core of versatile guard-post Markus Modrivic, and guards Riley Merryweather, Cole Belton, Joey Reaume and Hunter Thompson is a fairly unflappable bunch, part of the Bulldogs’ 2018 B.C. junior varsity Final Four group. 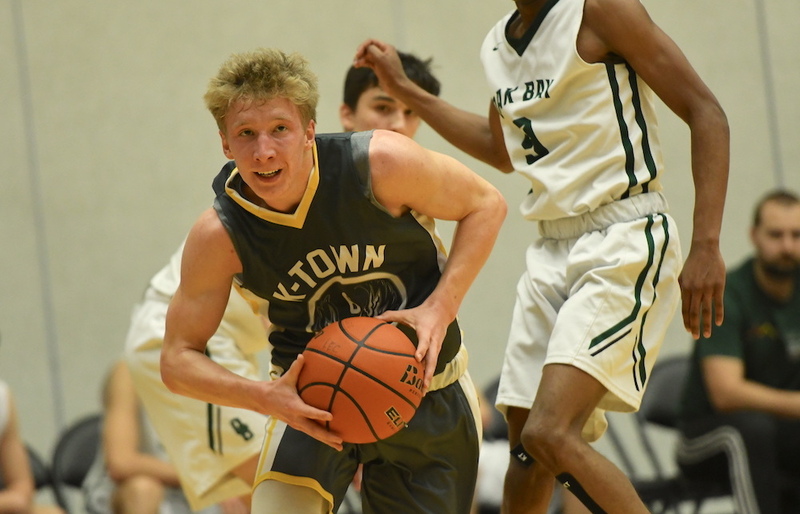 A key will be the quality of depth provided by the program’s rising Grade 11s, who finished fourth on Vancouver Island and qualified for the provincial JV tourney. 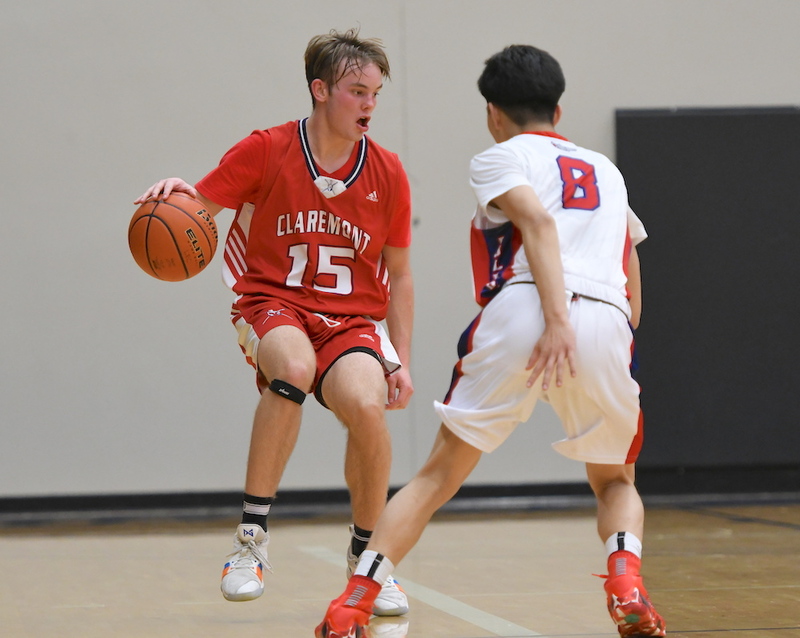 Rising Grade 11 Cam Slaymaker will be one of the most voluminous scorers in the province as an inside/outside threat. Lead guard Ko Takahashi is ready to assume all of the primary ball-handling and playmaking duties over his Grade 12 season. Guards Jake McFarland and Greg Martignoni also return, and once again, a well-coached group of junior varsity players, this time led by high-scoring guard Cody Hendricks, arrive on the scene. 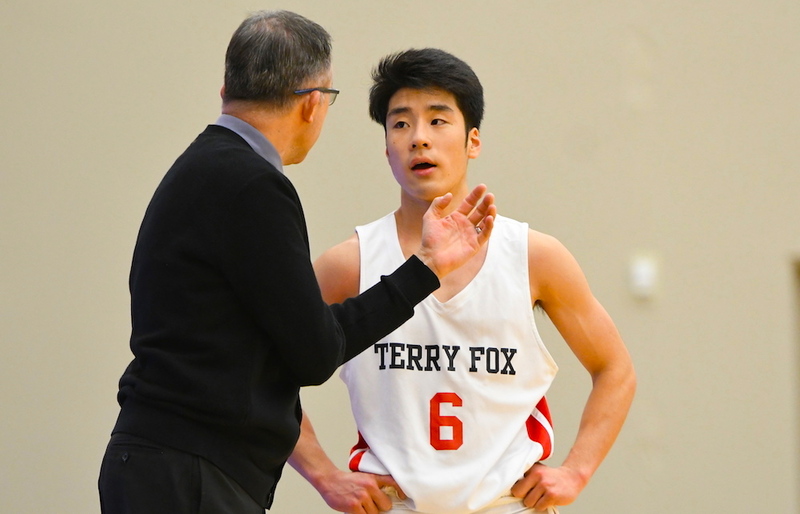 The potential is there to make some noise, but Terry Fox will have to do it without the depth and overall physicality of this past season’s group. 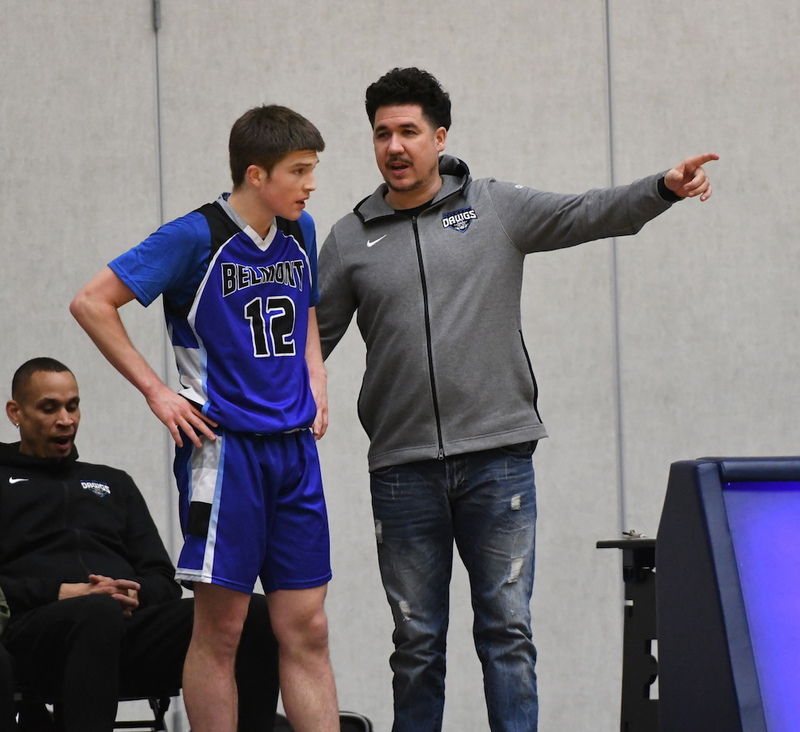 Like the Ravens, the defending B.C champions return a handful of seasoned talents in rapidly-maturing forward Jackson Corneil, steady guard Josh Hamulas, and basketball/baseball standout guard Jaden Reid. The rest of the returning group, however, did not see main rotation minutes against meaningful competition. Corneil, Hamulas and Reid, however, are talented enough to give a new group the opportunity to grow and re-trench. At the same time, it’s no indictment of anyone to say that you just can’t replace the best group of seniors in school history over one off-season, a group which included the likes of B.C. MVP Arjun Samra, Austin Swedish, Alex Le, Elijah Devison and injured Patrick Jonas. Head coach Brandon Dunlop might be coaching the biggest sleeper team in the province. Not only will Victoria’s Spartans feature the skilled 6-foot-8 Ethan Boag, set to enter his senior season, but the program’s Grade 10 team made huge strides in their development with a top-eight finish at the JV provincials, led by the likes of rising Grade 11s Ben Manns, Jakob Neufeld, Spencer O’Sullivan and Colby Parker.